DEADPOOL: BONELESS AND EXTRA CRISPY! • Good Night has removed Deadpool's bones! 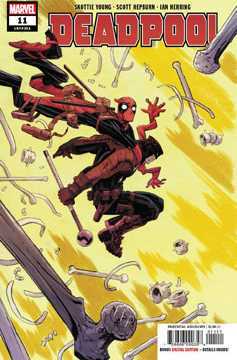 • What has Good Night been doing since Deadpool killed his parents? • I know the answer. It's…it's kinda messed up, you guys. Parental Advisory.